'Generations of religious and secular people learned from him that the connection between them is possible,' says Naftali Bennett. 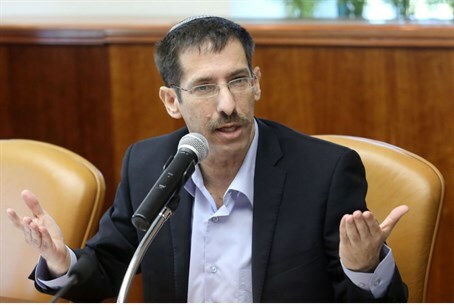 The Minister for Senior Citizens, Uri Orbach (Jewish Home), has passed away. He has been seriously ill for several weeks, and his condition took a turn for the worse Sunday evening. Doctors at Shaare Tzedek Hospital in Jerusalem were fighting for the minister's life in the last 24 hours. Orbach, 54, leaves behind his wife, Michal, and four children. He will be laid to rest at 4:30 p.m. in his home town of Modiin. Jewish Home Chairman Naftali Bennett eulogized Orbach on social media. To no small degree, Bennett owes his current leadership position to Orbach, who enthusiastically supported his bid to join the Jewish Home and become its chairman – after convincing Bennett himself that he was the right man for the job. Orbach voluntarily gave up his position as the head of the party, and insisted that the party hold primaries for the first time ever. He also correctly predicted that the religious Zionist list, which had only three MKs at the time, would obtain a double-digit number of MKs. Orbach is also well-known in religious Zionist circles for penning an article in a now-defunct settlement magazine, Nekuda, titled “The Best – to the Media.” The caption is based on the time-honored IAF slogan that calls on “The Best” young men to volunteer to become pilots. In it, Orbach called on talented religious Zionists to make careers in the media and thus affect public discourse in Israel. Many did just that, and Israel's media is currently full of young religious-Zionist journalists.